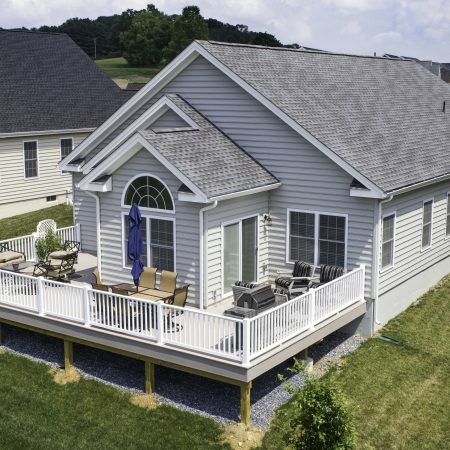 Zephyr Thomas Home Improvement Company uses only the best of the best in #1 Pressure Treated Lumber to create a new outdoor living space for you and your family. 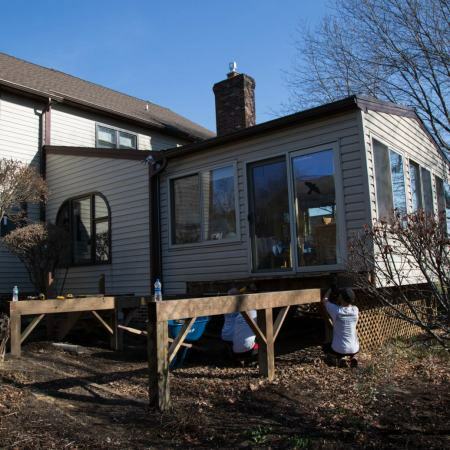 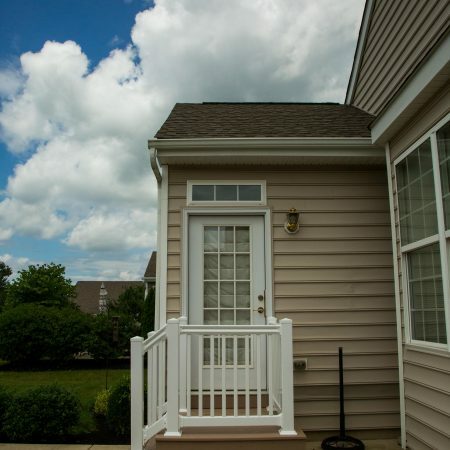 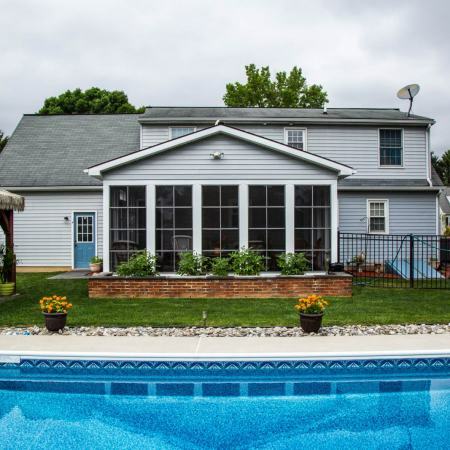 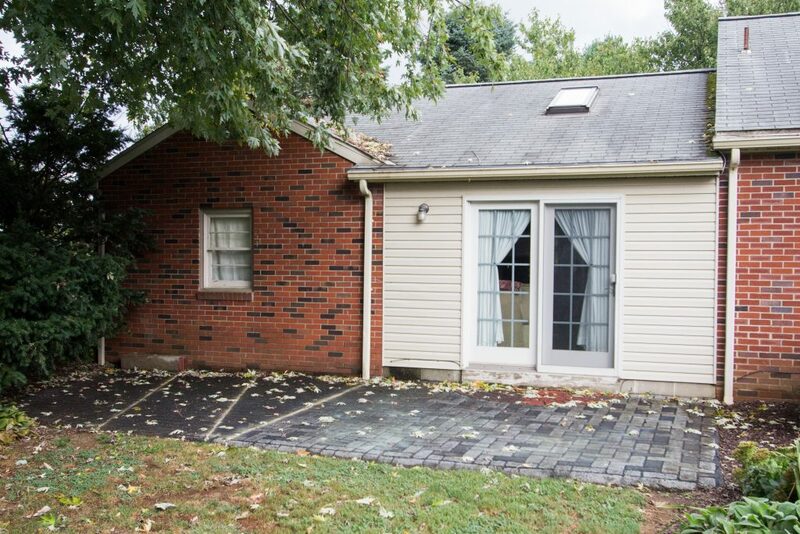 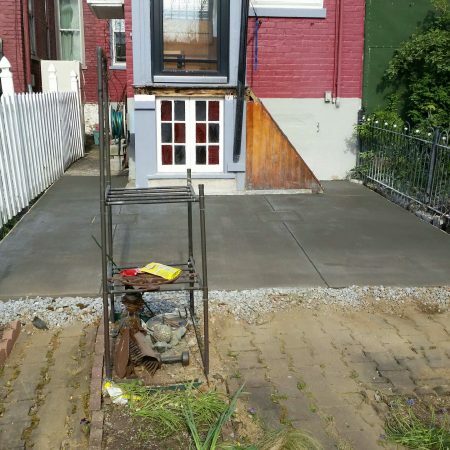 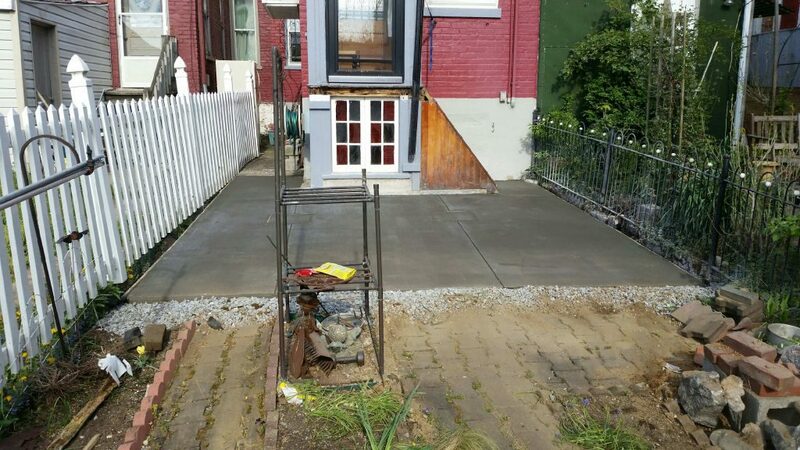 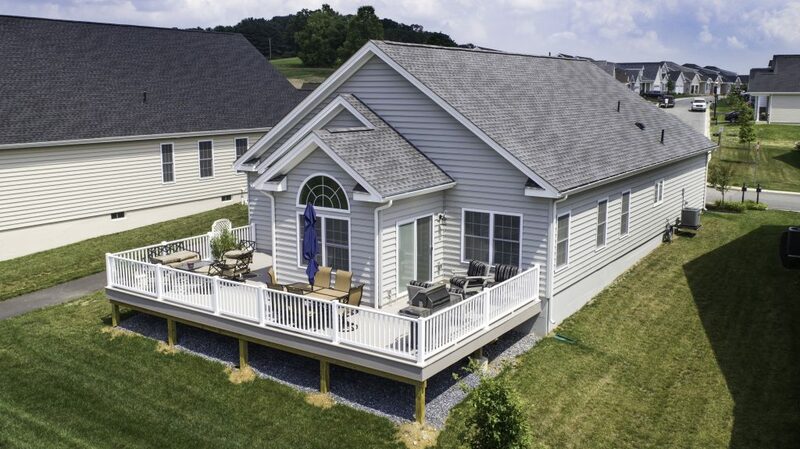 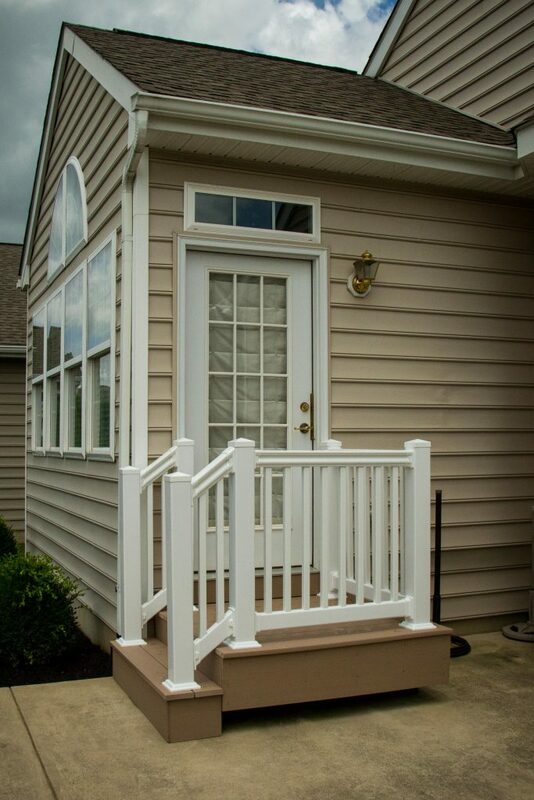 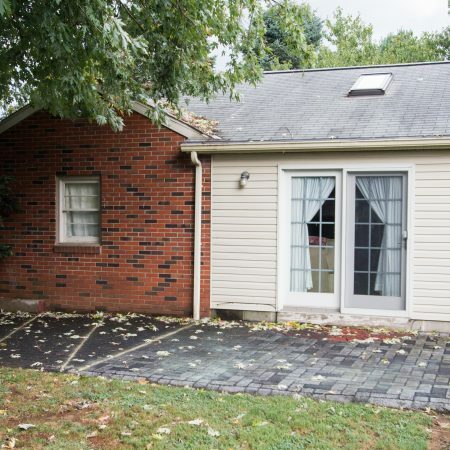 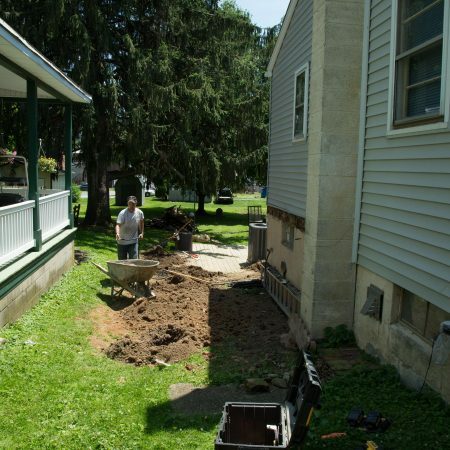 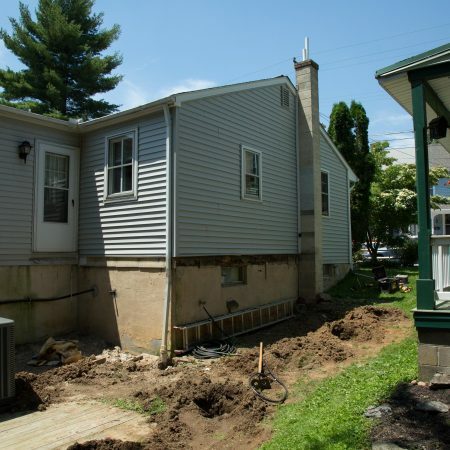 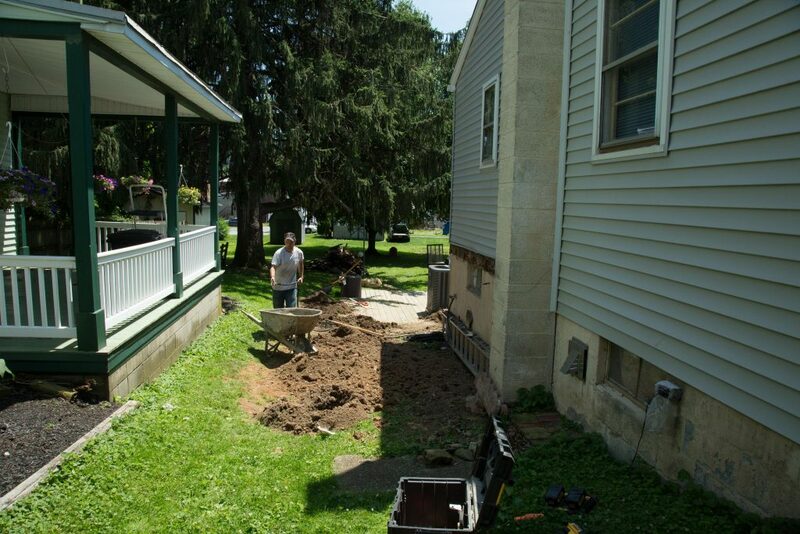 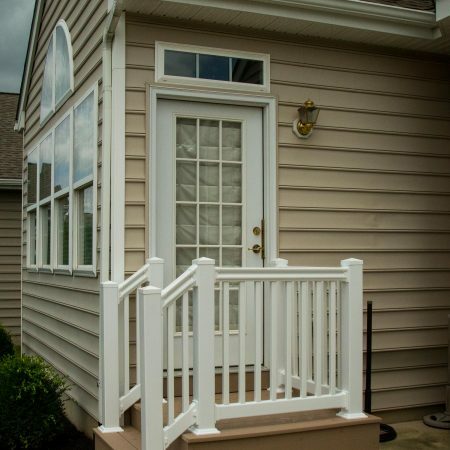 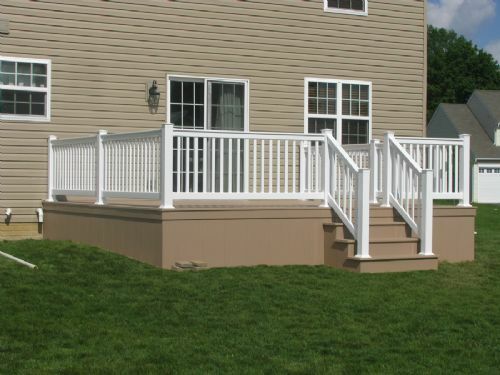 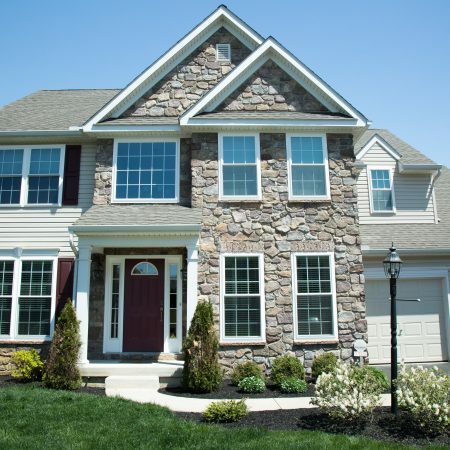 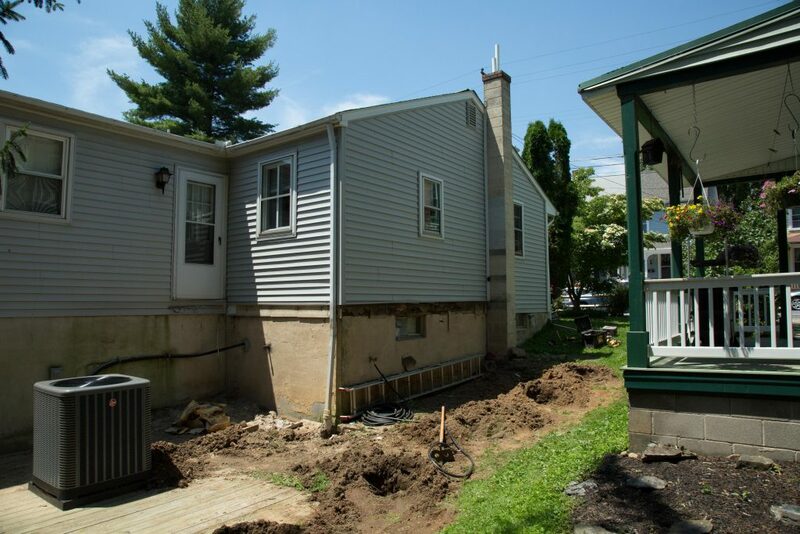 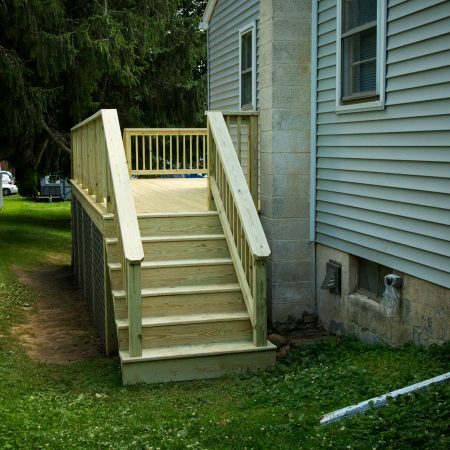 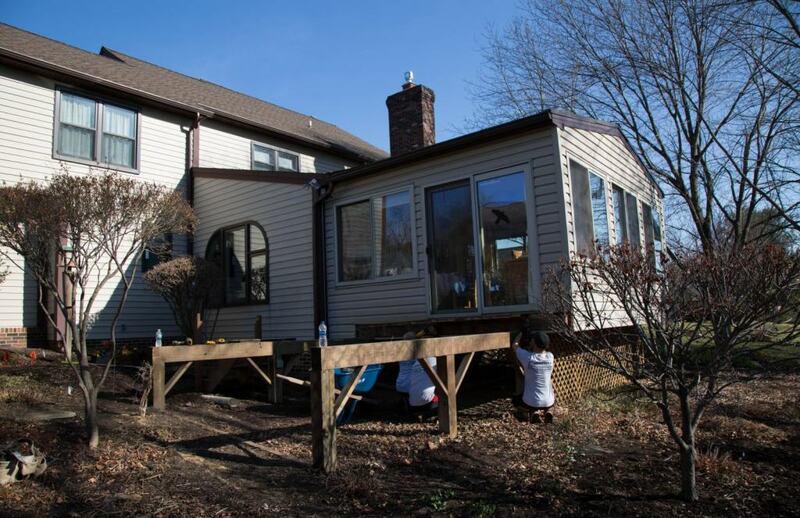 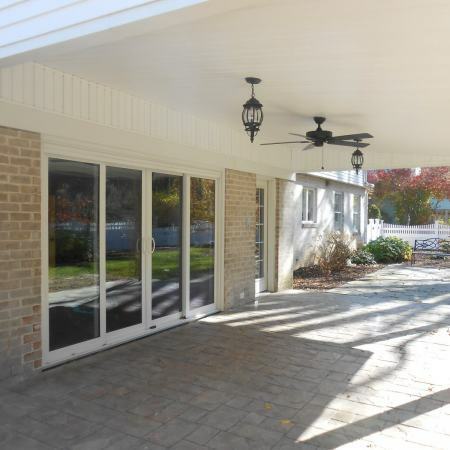 Our installers are experienced and known around Lancaster County for their quality craftsmanship. 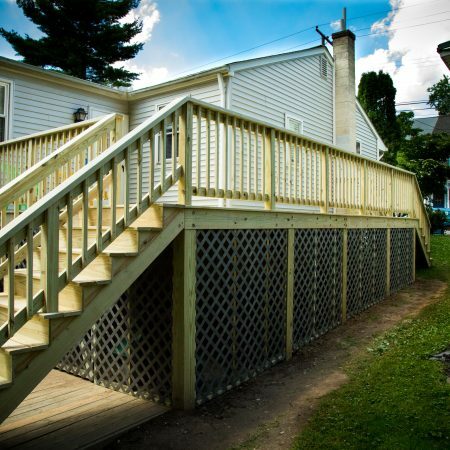 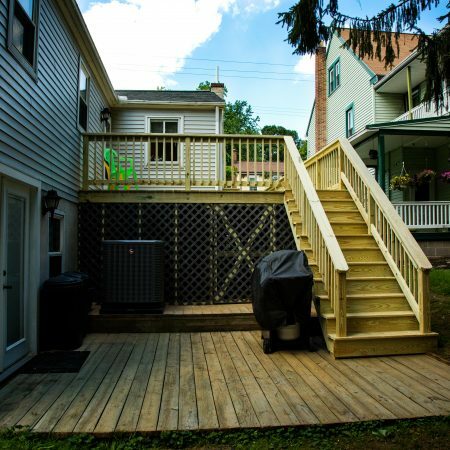 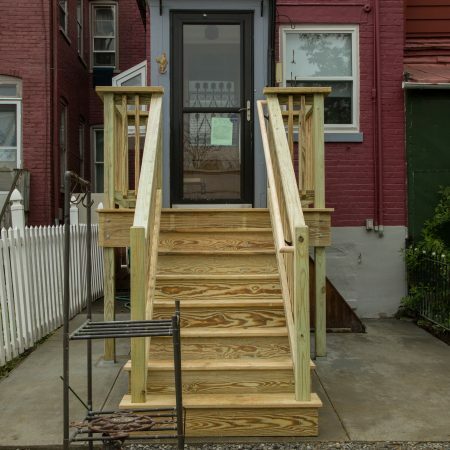 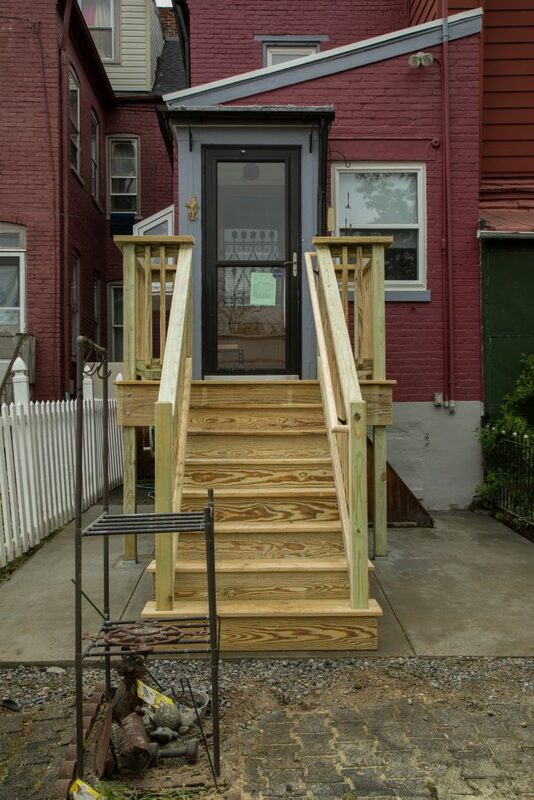 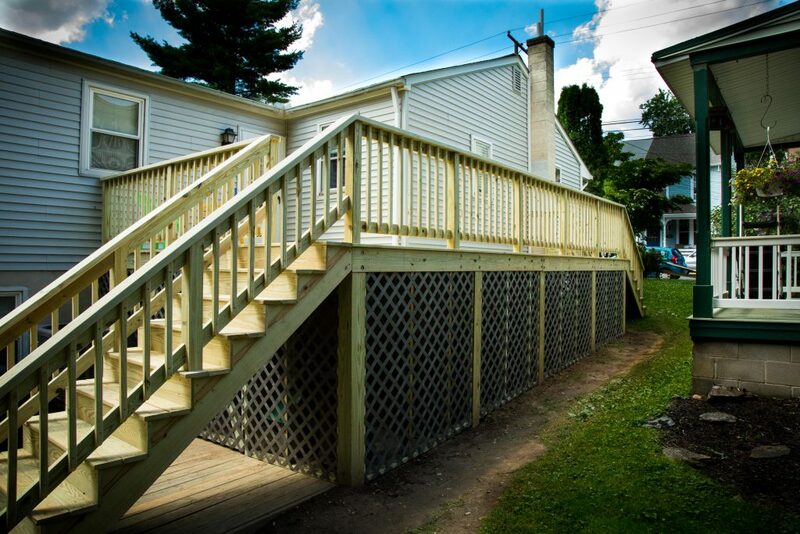 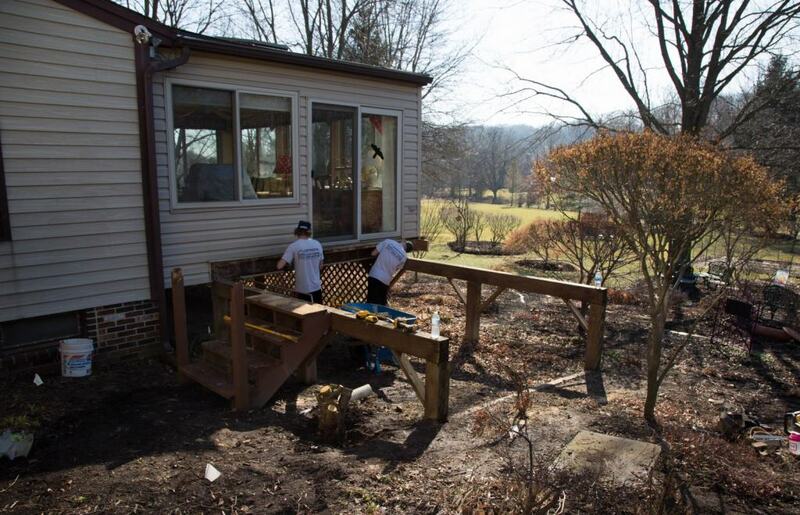 Zephyr Thomas can create a pressure treated lumber deck system to add value and space to your home. 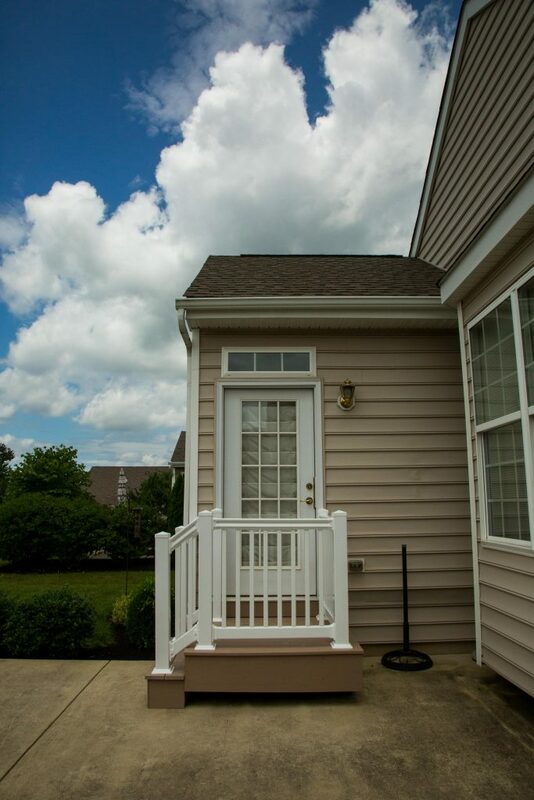 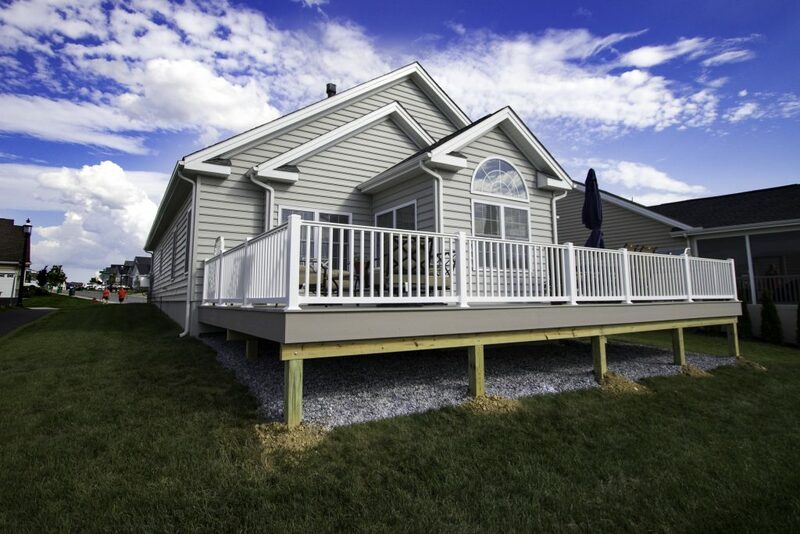 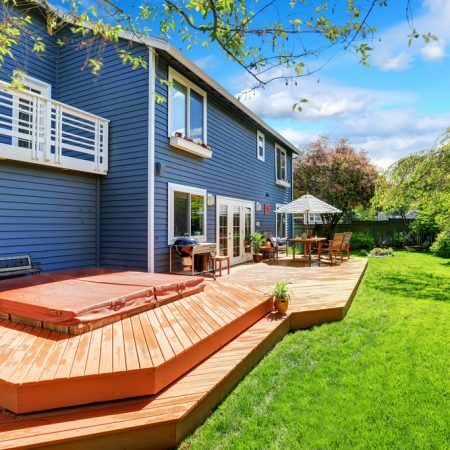 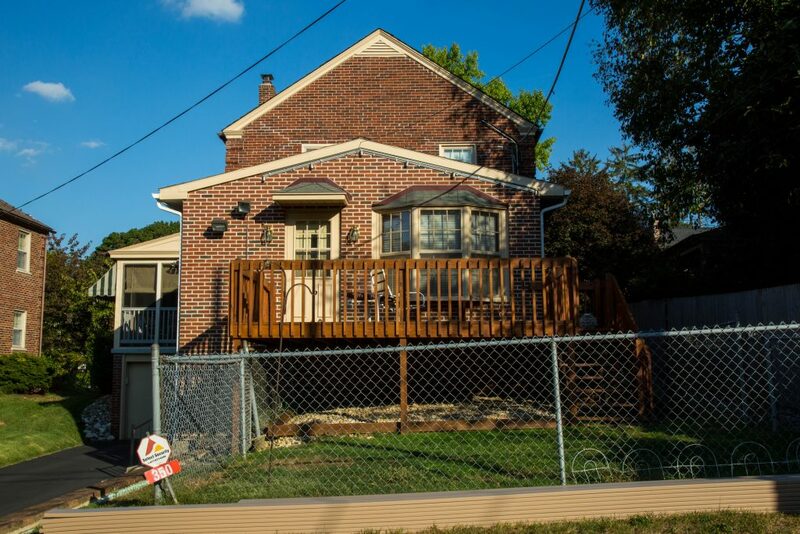 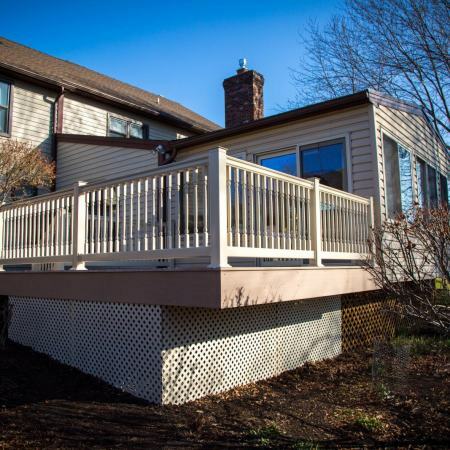 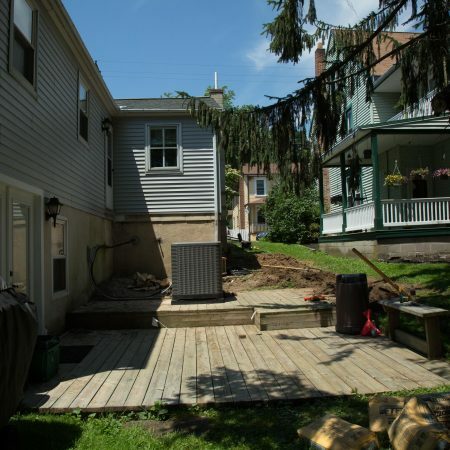 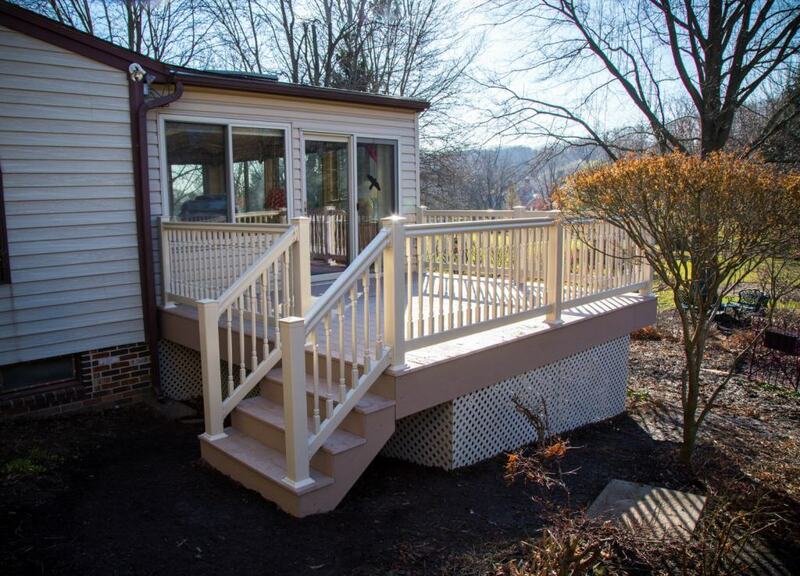 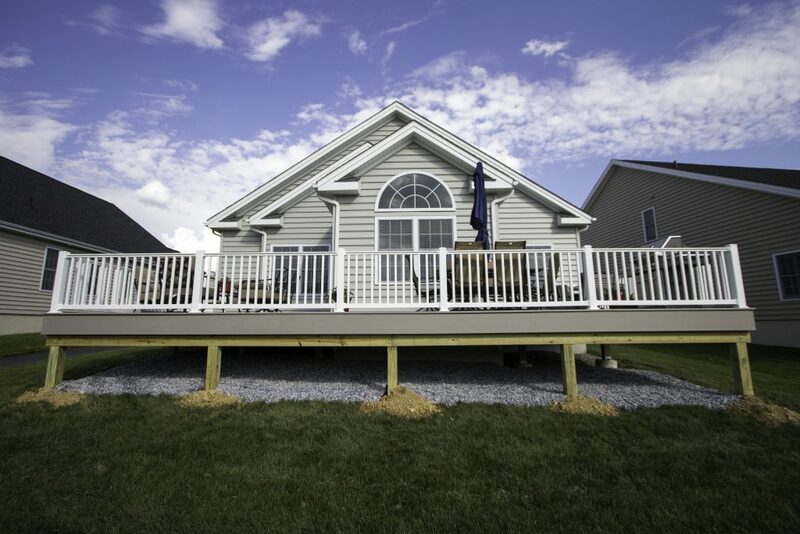 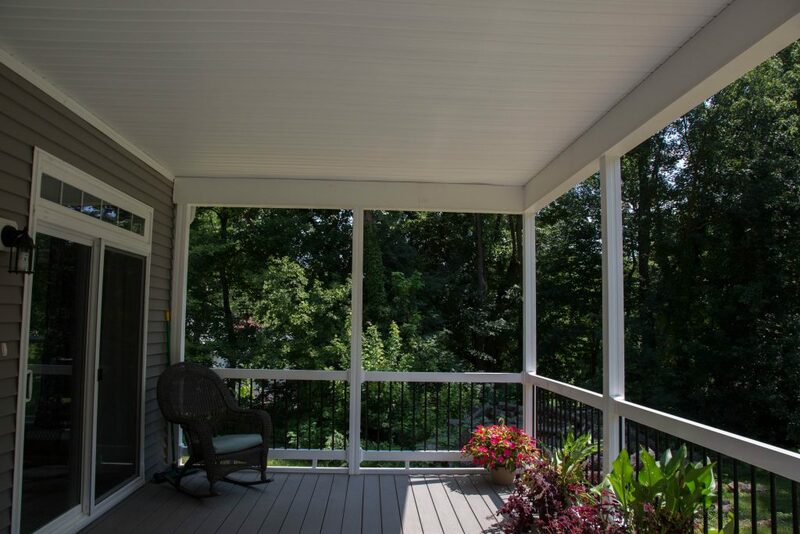 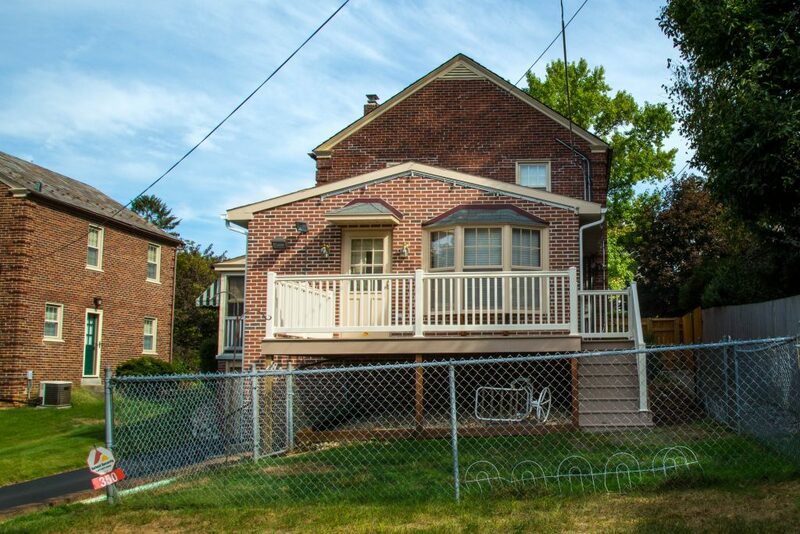 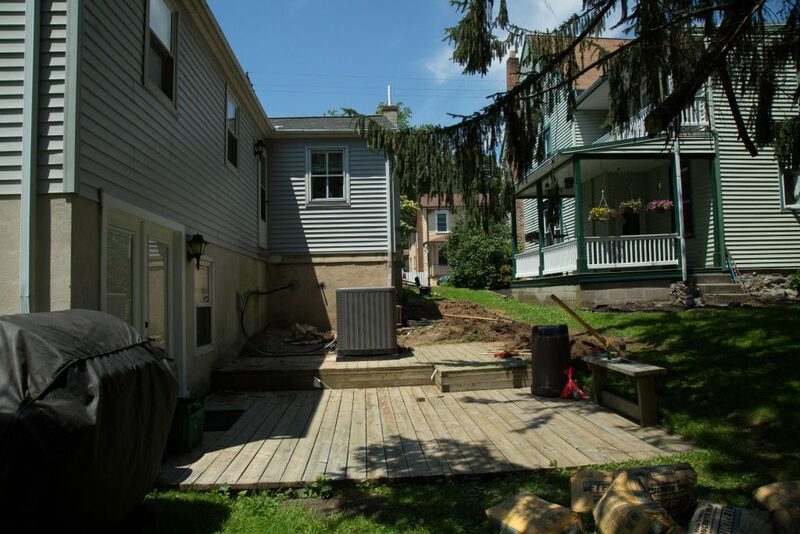 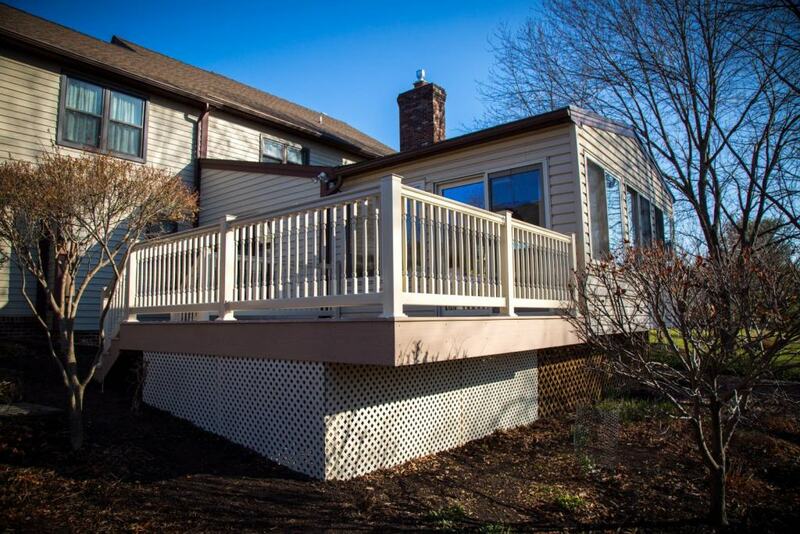 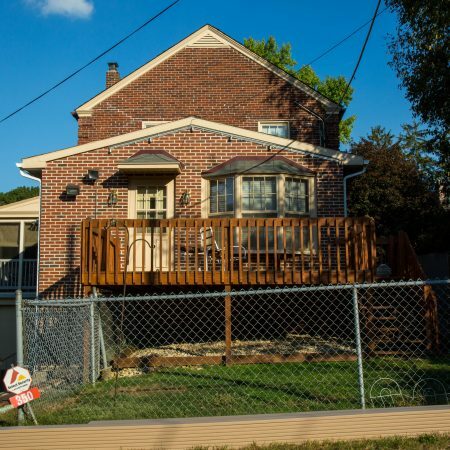 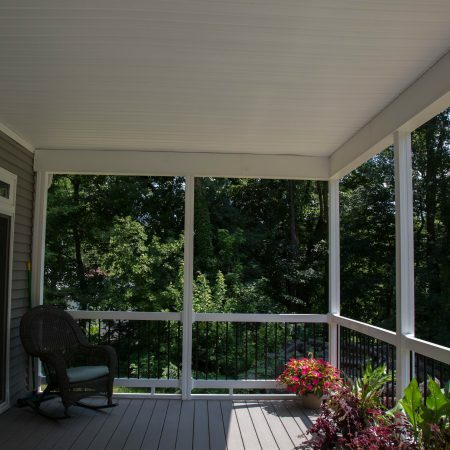 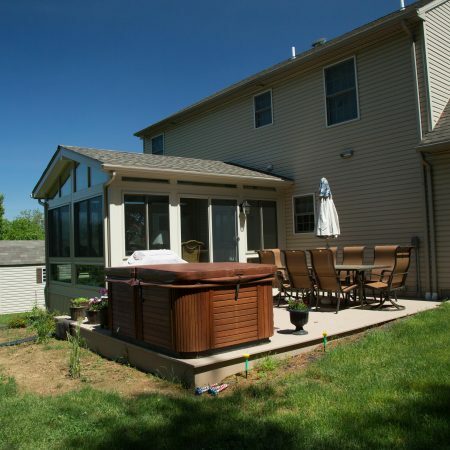 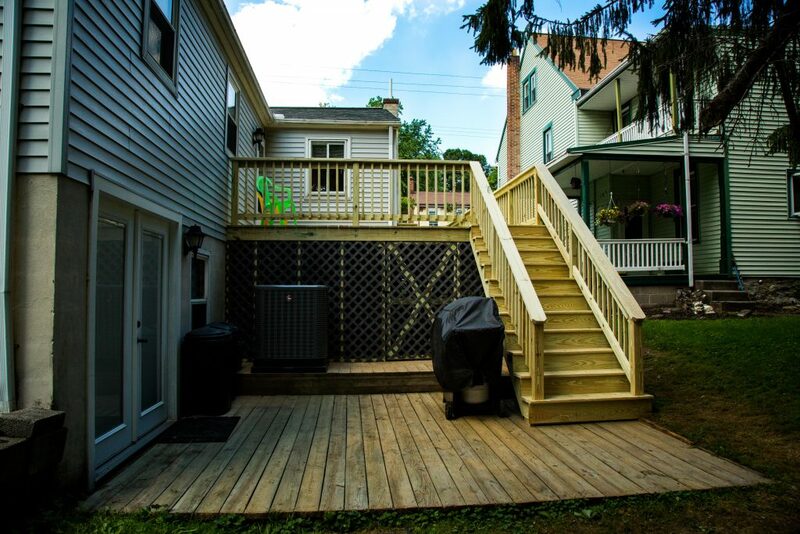 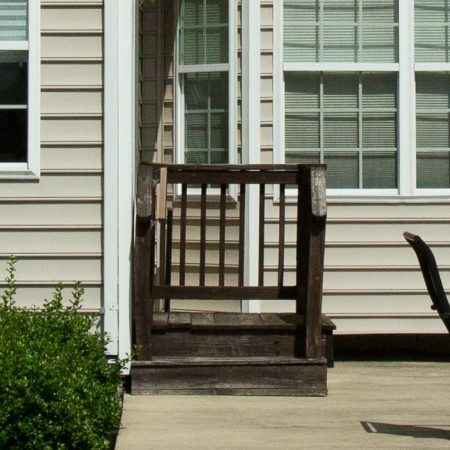 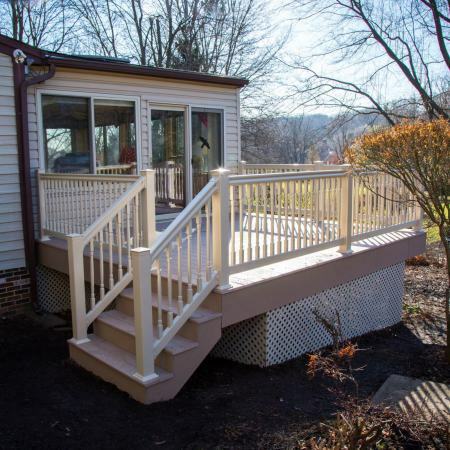 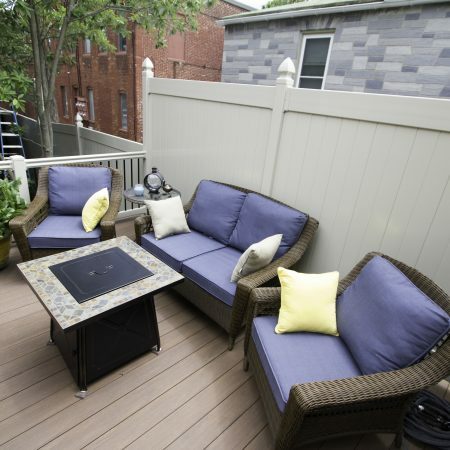 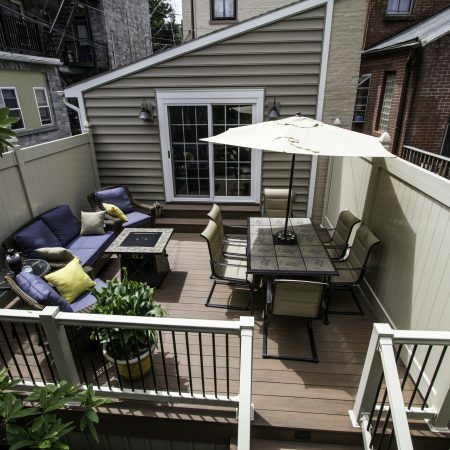 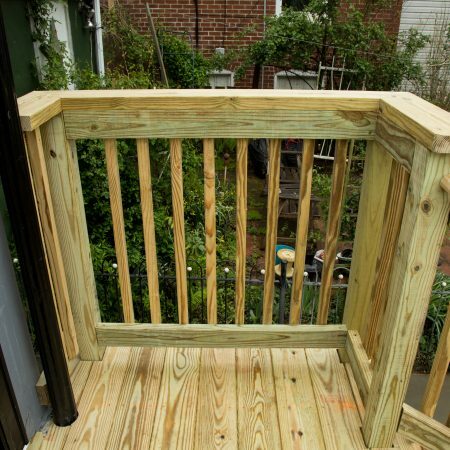 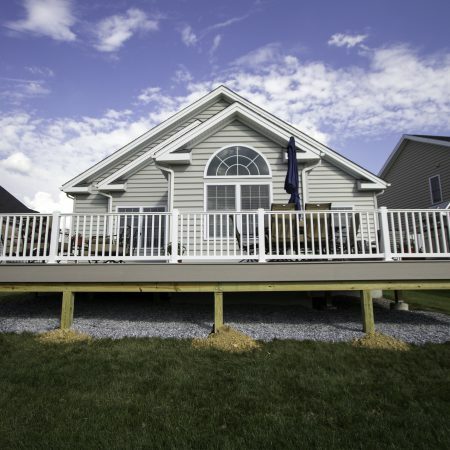 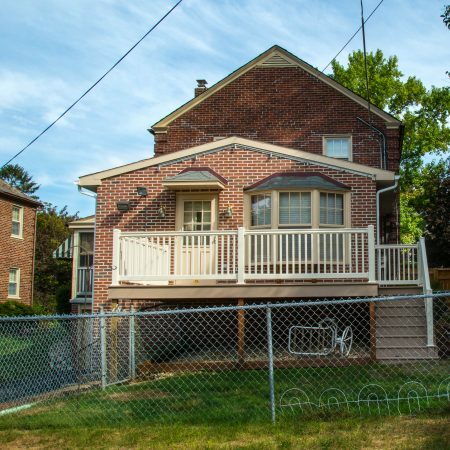 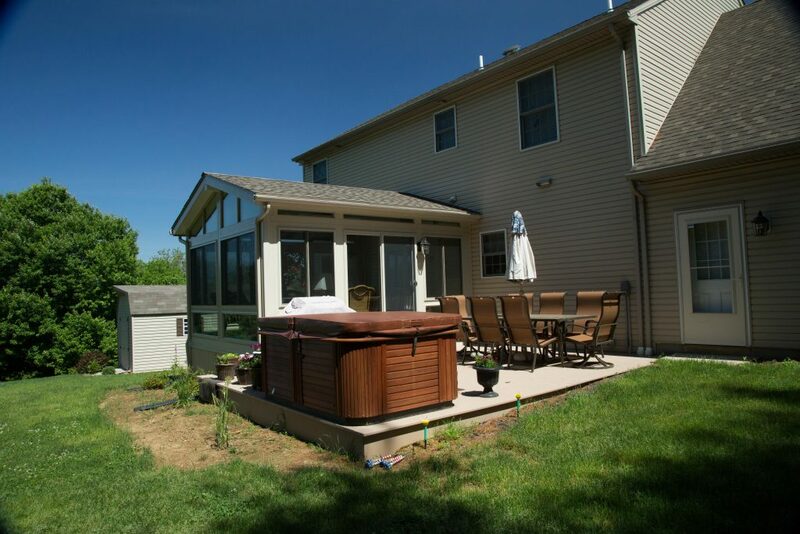 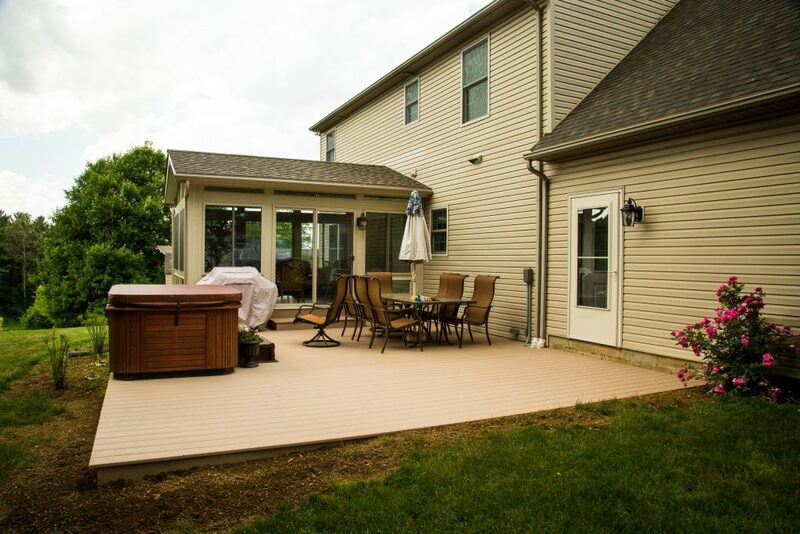 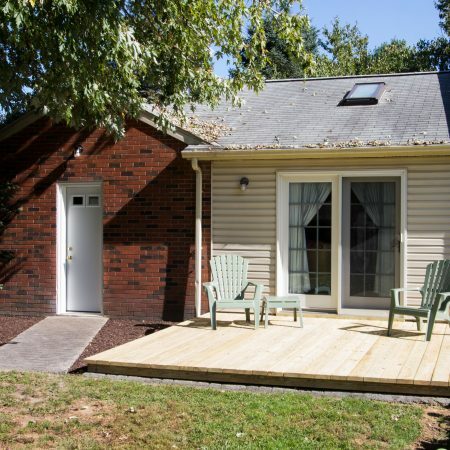 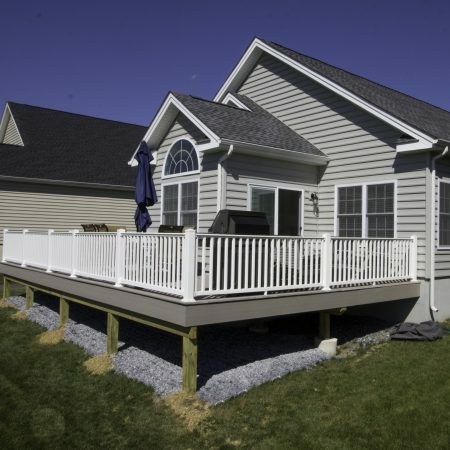 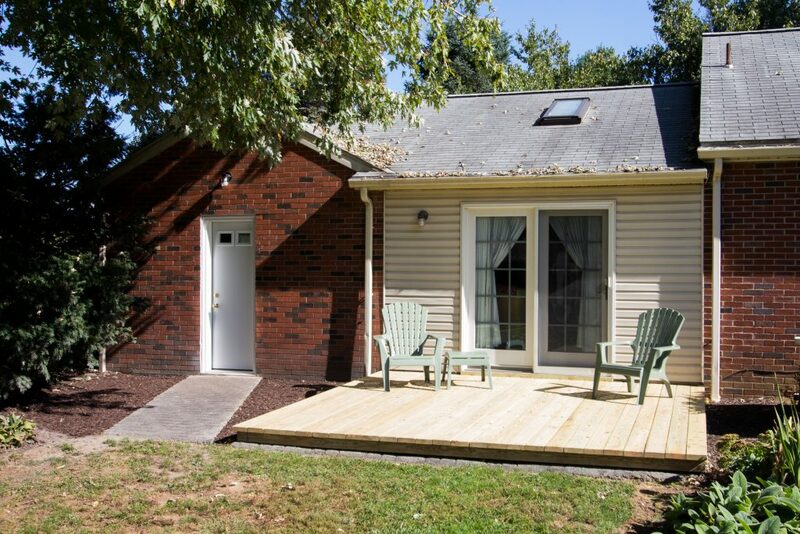 There’s no better way to enjoy the outdoors then to relax on a beautiful new deck. 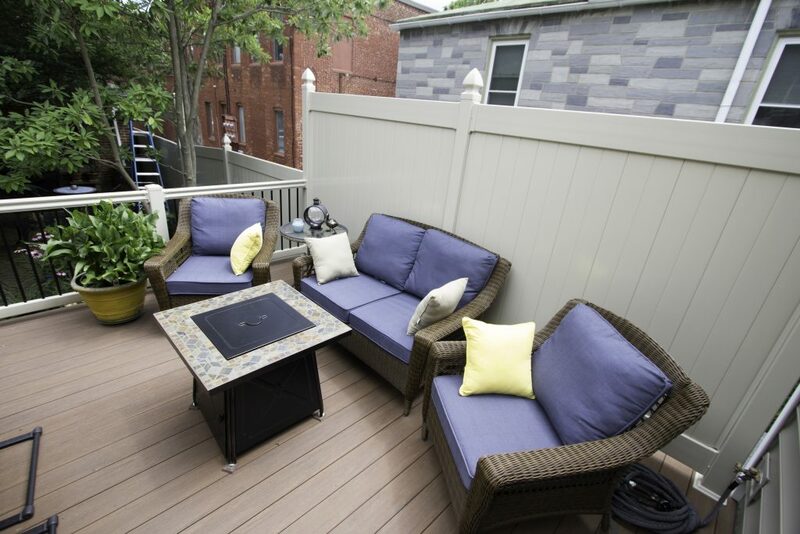 Have a grill out, invite the family, or just relax and soak in the sun. 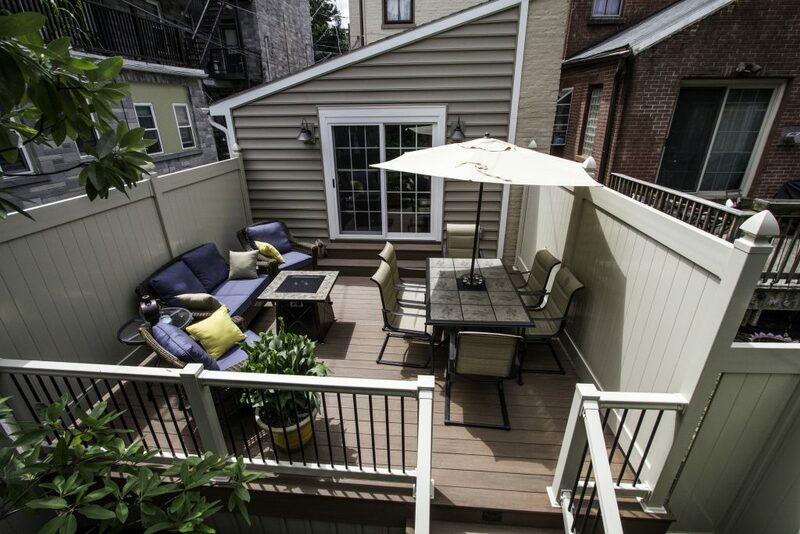 Any design idea or custom layouts you have in mind, Zephyr Thomas can bring to life. 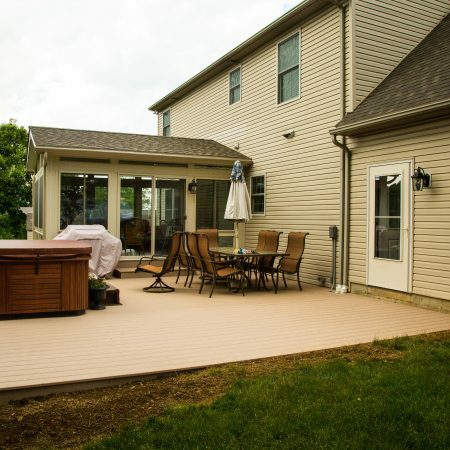 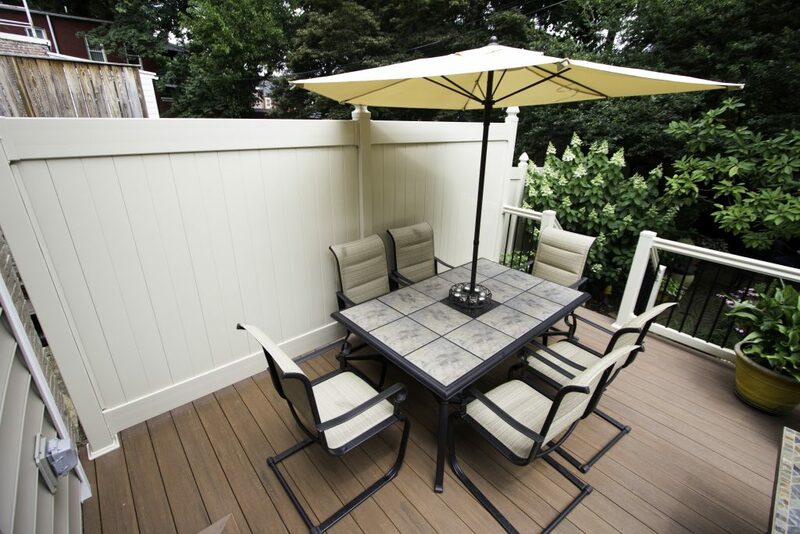 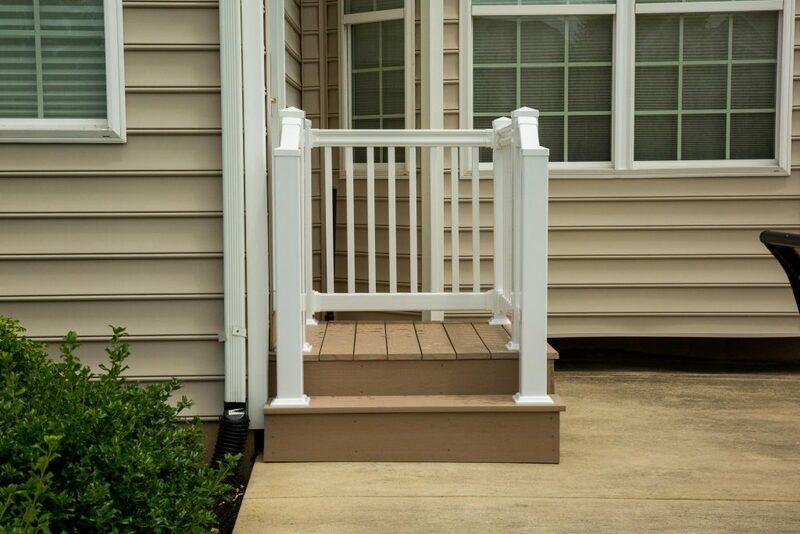 A deck creates an outdoor living space that adds value and space to your home. 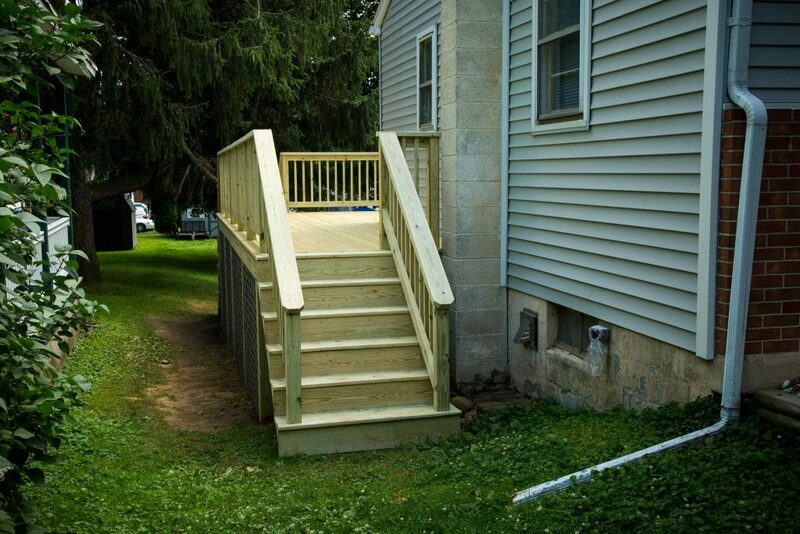 Get one step closer to yours by filling out our form to get started. 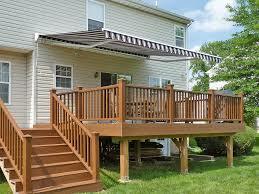 One of our service professionals will be in touch with your free quote! 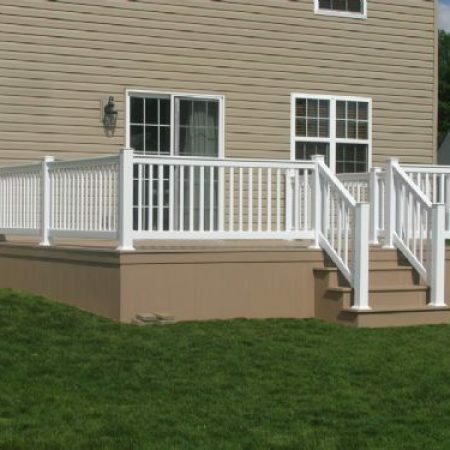 We also offer the newest products in the decking industry, vinyl decking, by our Azek deck manufacturers. 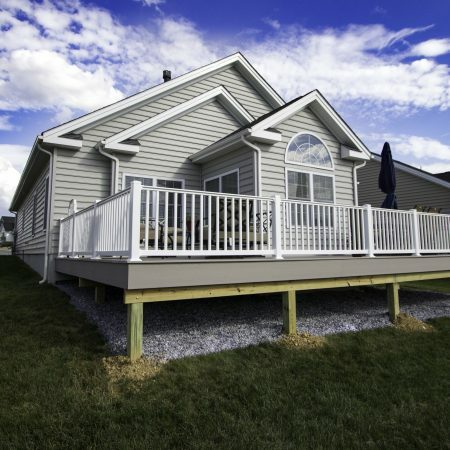 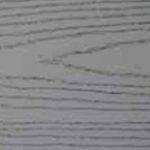 A vinyl deck is an investment that provides a value over time, and it will not splinter, rot, warp, or crack. 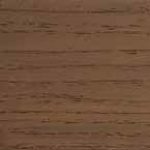 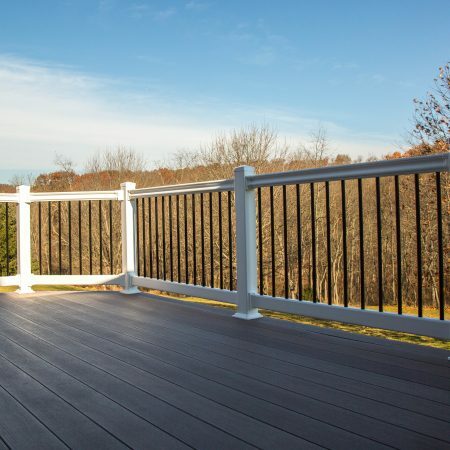 Vinyl decking offers the most natural look and feel of wood without the maintenance. 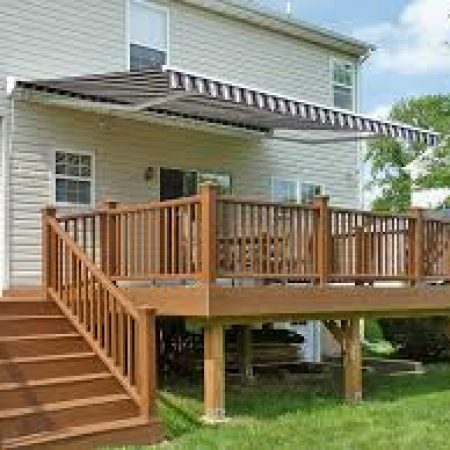 AZEK Deck resists staining from stubborn stain makers like ketchup, cooking grease, and red wine. 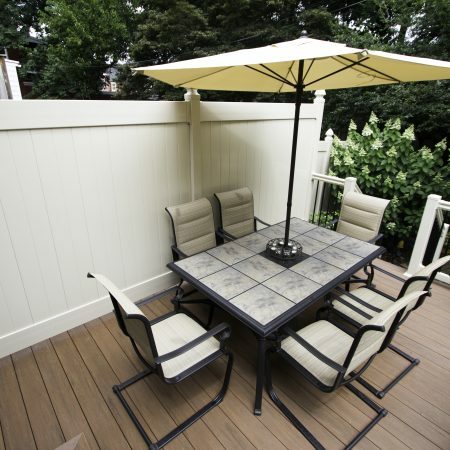 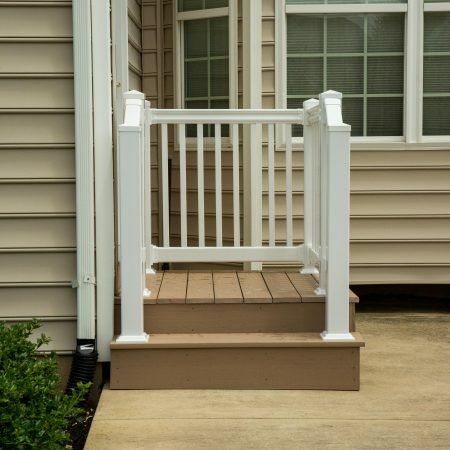 AZEK Deck resists scratching from patio furniture, people, and pets even in high traffic areas. 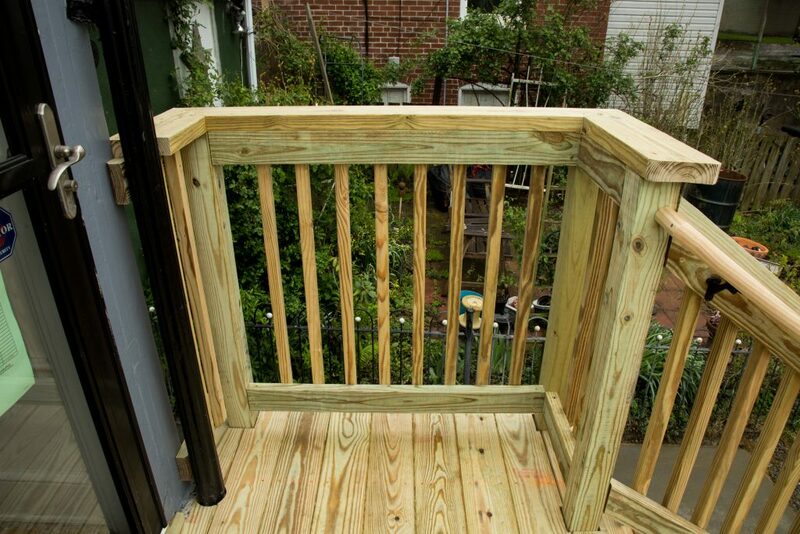 AZEK Deck resists splitting from fasteners placed close to the edge. 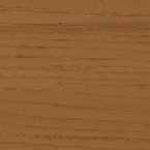 AZEK Deck’s Arbor Collection resembles the warm, vibrant tones of exotic wood. 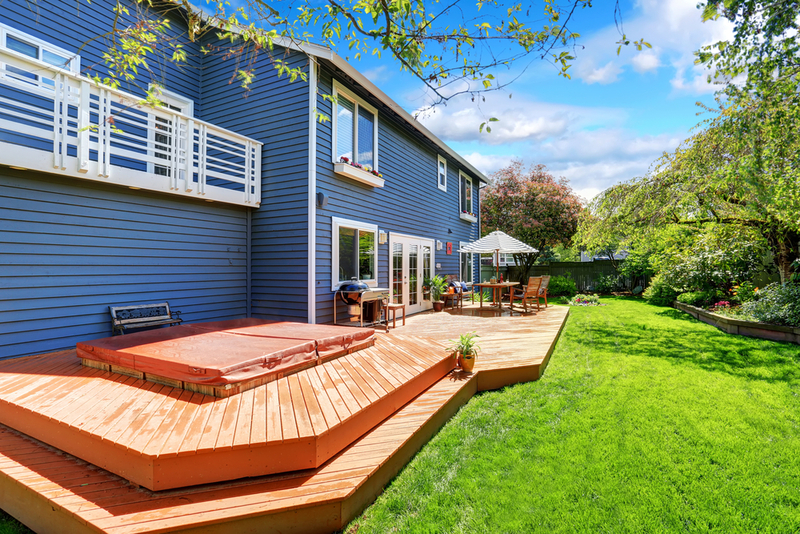 Just imagine…the look of tropical hardwoods with the proven performance of AZEK Deck. 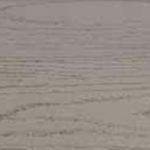 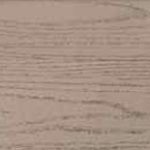 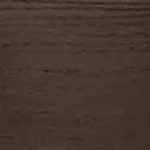 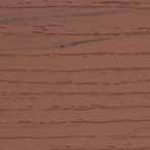 AZEK Deck’s Terra Collection brings warm, earthy tones to life in four rich colors that complement any housing exterior. 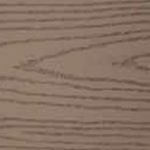 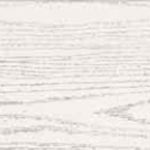 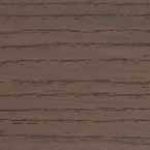 Enhanced grain textures set the two newest colors, Sedona and Tahoe, apart from all other decking options. 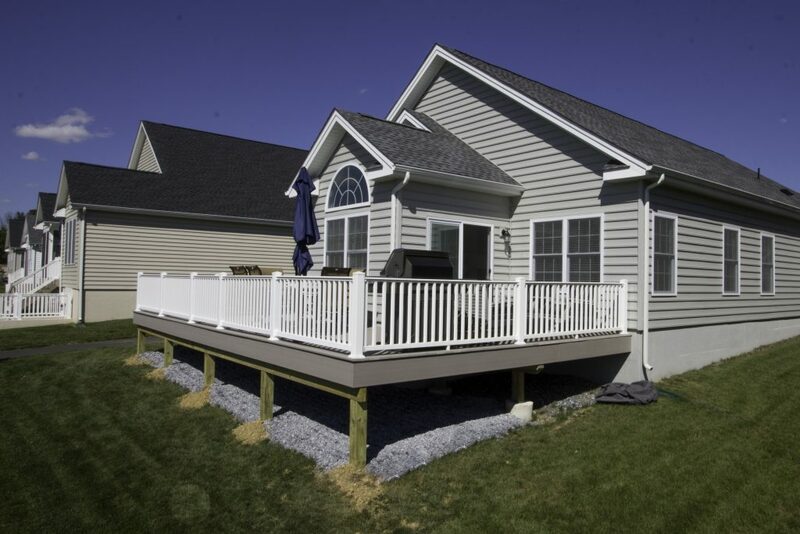 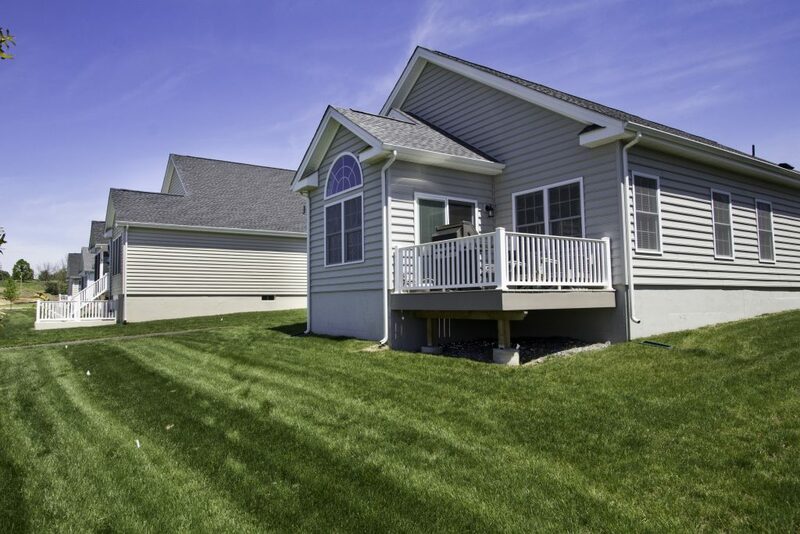 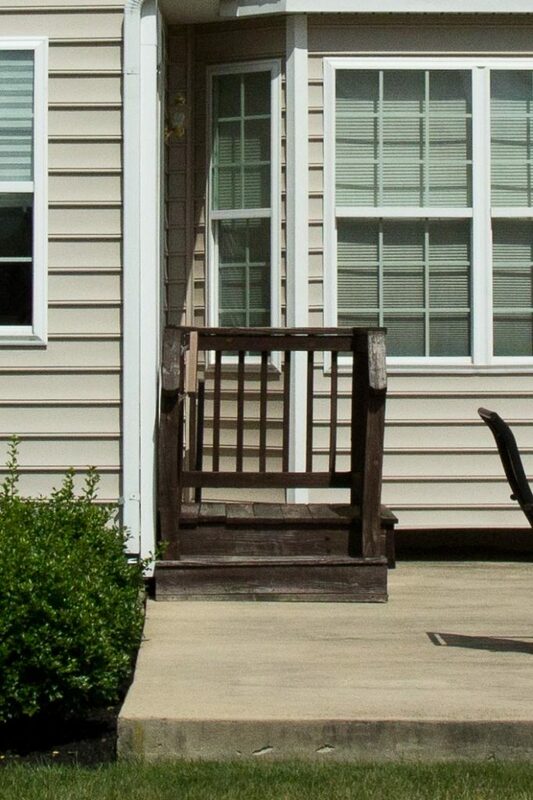 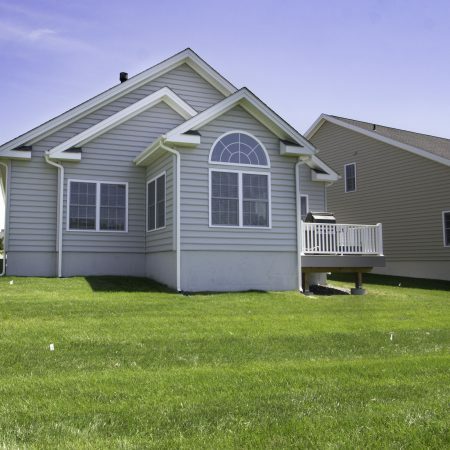 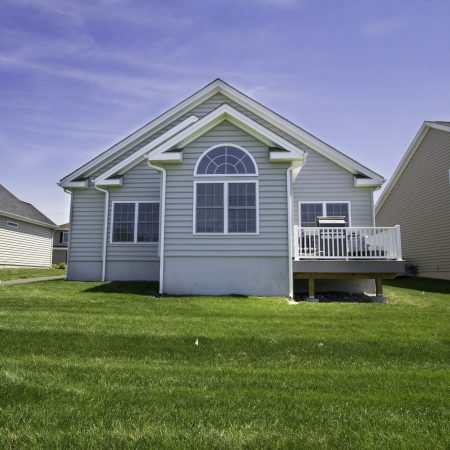 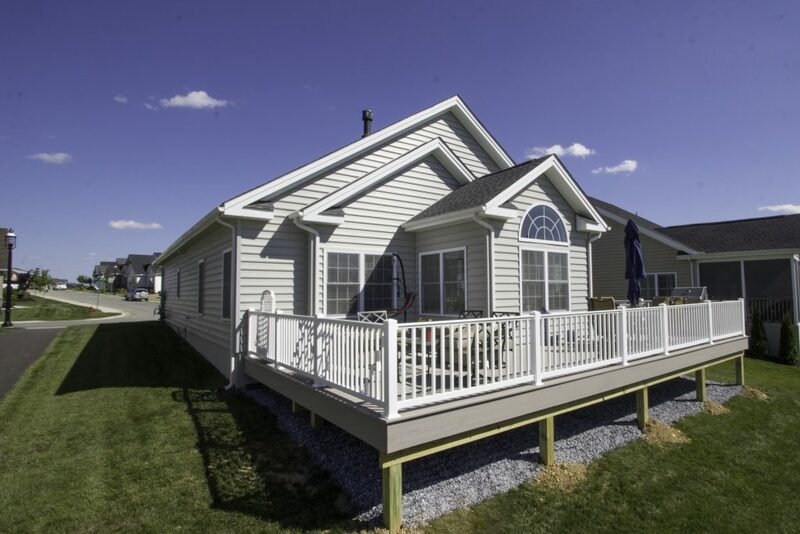 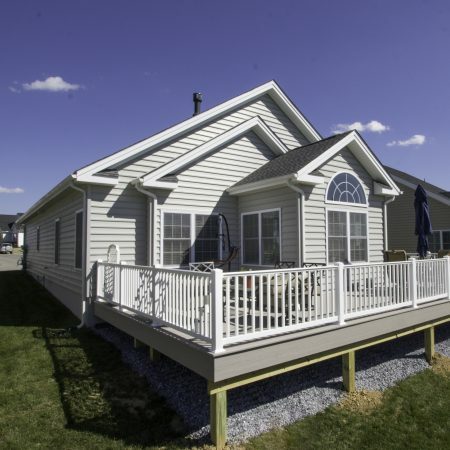 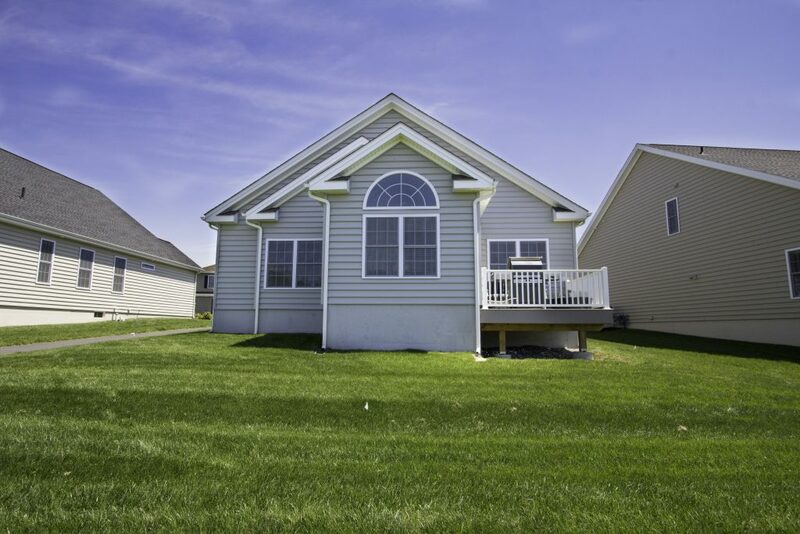 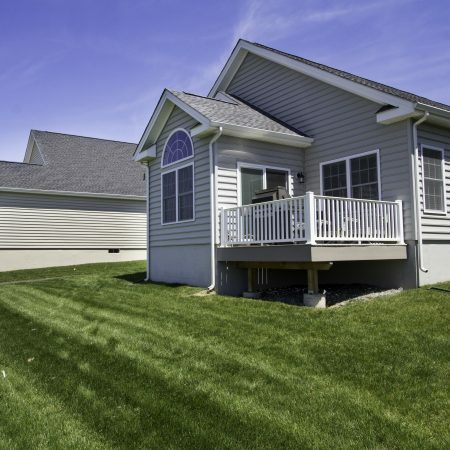 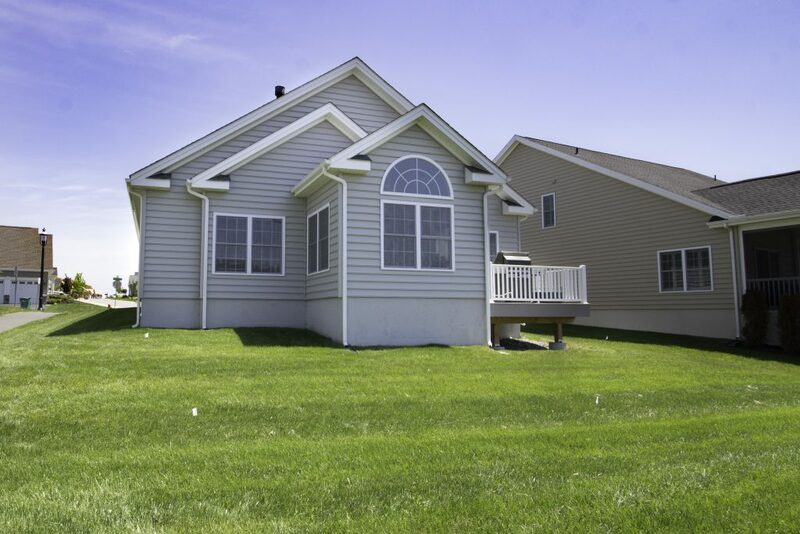 The original AZEK Deck colors offer a pleasing palette of soft shades that complement the most popular siding colors. 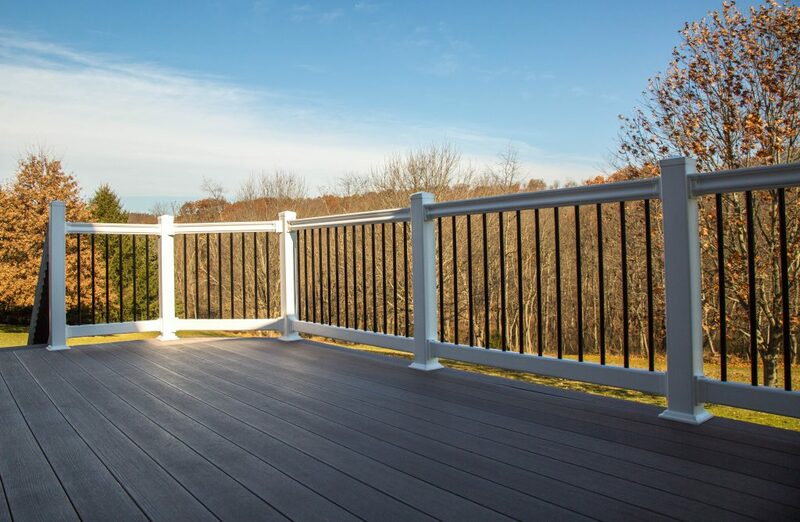 AZEK Deck’s Harvest Collection is our tried and true decking option that established our unquestioned reputation for superior stain, scratch, and split resistance.